GOP Senators Ask For Criminal Probe Of British Spy Who Wrote "Trump Dossier"
Many details surrounding the now-infamous "Trump Dossier," from who funded it to how exactly it made it's way into the hands of the FBI and whether or not it was relied upon to secure FISA warrants to spy on members of Trump's campaign, are critical to determining whether partisan politics, or fact-based investigative work, drove the DOJ's initial efforts in its Russia probe. 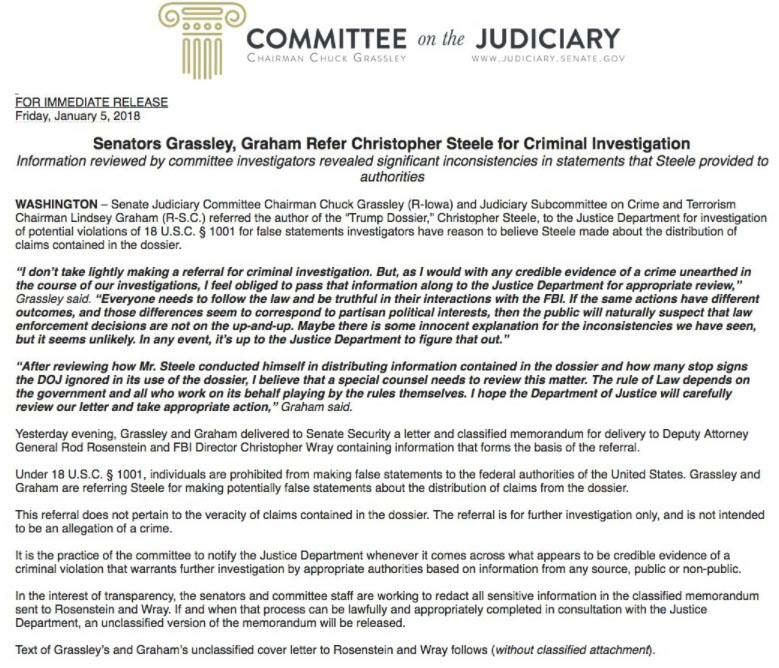 Now, Senate Judiciary Committee Chairman Chuck Grassley (R-Iowa) and Judiciary Subcommittee on Crime and Terrorism Chairman Lindsey Graham (R-SC) say they've uncovered what they believe is sufficient evidence to refer the author of the dossier, ex-MI6 spy Christopher Steele, to the Justice Department for an investigation of potential violations of 18 U.S.C. § 1001 for false statements about the distribution of claims contained in the dossier. “I don’t take lightly making a referral for criminal investigation. 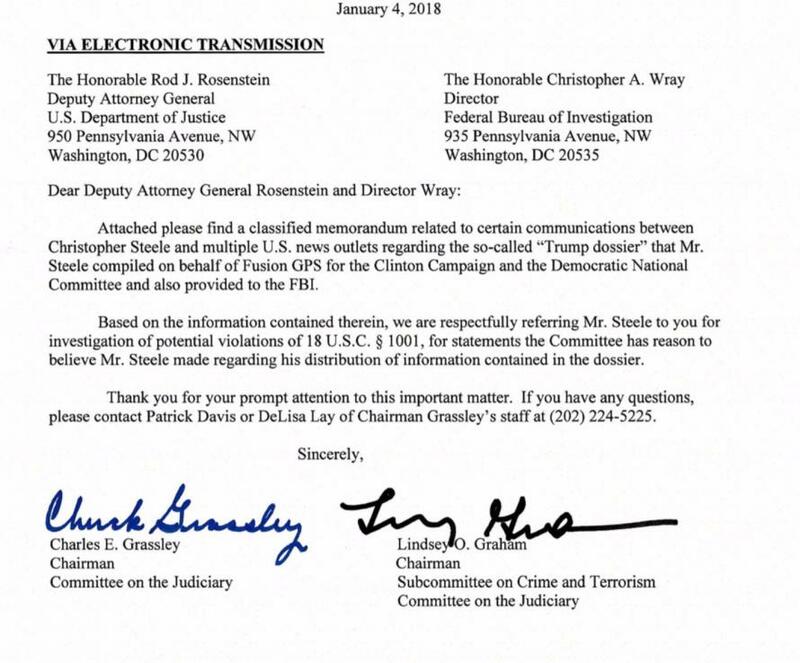 But, as I would with any credible evidence of a crime unearthed in the course of our investigations, I feel obliged to pass that information along to the Justice Department for appropriate review,” Grassley said. Of course, the only question is whether the alleged false statements made by Steele will result in the same punishment as that bestowed upon Michael Flynn or whether there is an exemption for false statements provided they were intended to harm the current administration.